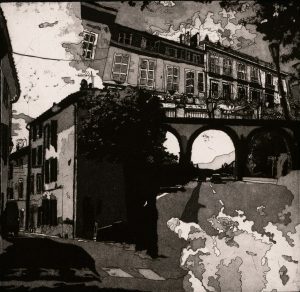 This Friday 14th July marks the opening of Impressions Printmaking Biennale. Curated by Jason Hicklin, it takes place at Galway Mayo Institute of Technology as part of the Galway Arts Festival 2017. This open submission exhibition has been running since 1988 and showcases a wide range of original prints. 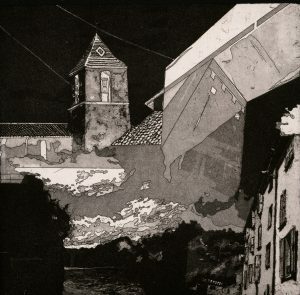 I’m very excited to have had two of my etchings selected for this years show. ‘Les Gorges du Verdon’ and ‘De Varages a Aix’ were both inspired by my trip to the south of France last summer. It feels fitting that my memory-scapes, full of adventure, are off on their very own adventure across the country. Show runs til July 30th. Do drop by if you get the chance!